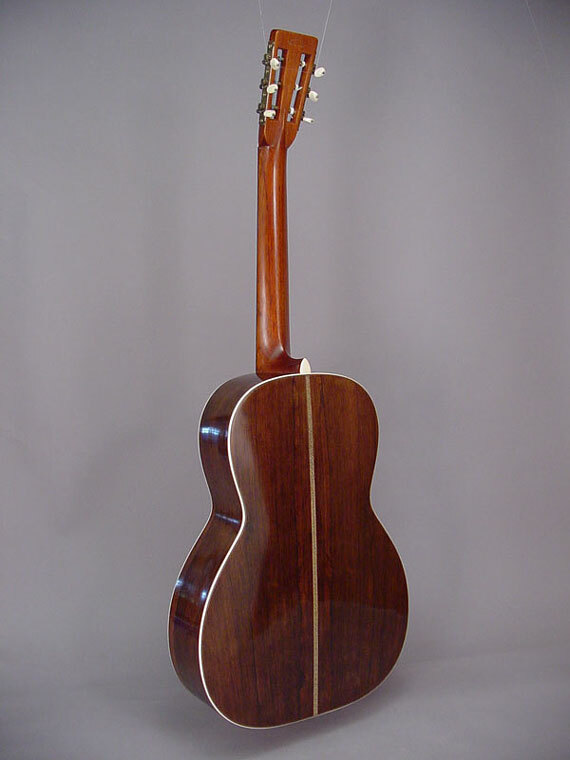 Here's another one of those remarkable old Martin guitars, built originally, as all Martins were in those days, for gut stringing. 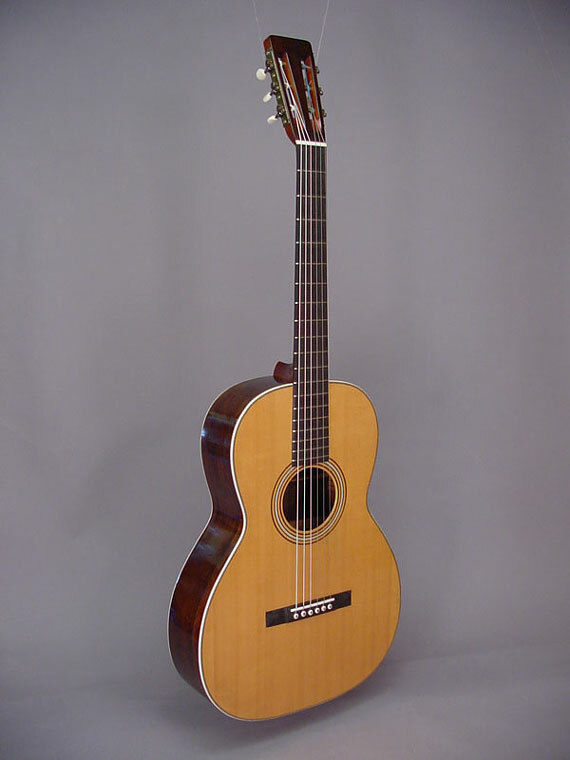 It was a large model then, although today we consider it to be a small fingerstyle guitar, and it's about the same size as a regular classical guitar. 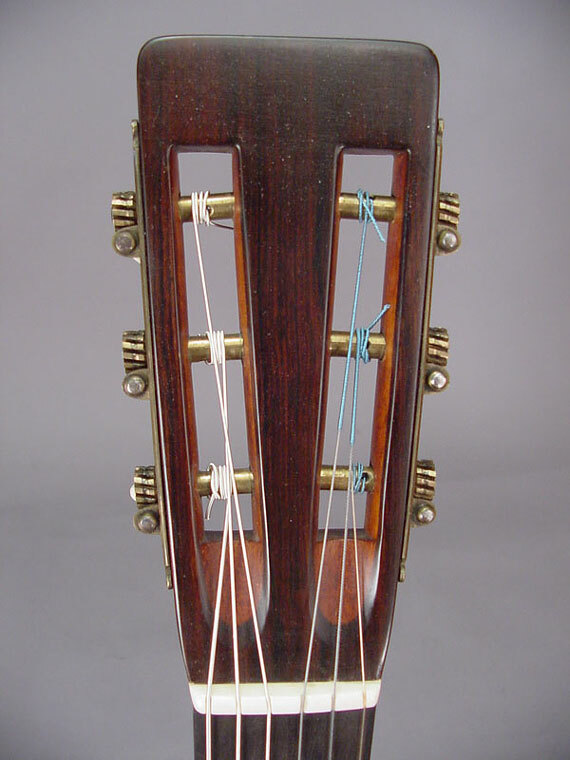 But it is not like those Spanish classicals; really it has more in common with today's steel string models, with its X-bracing and pin bridge. 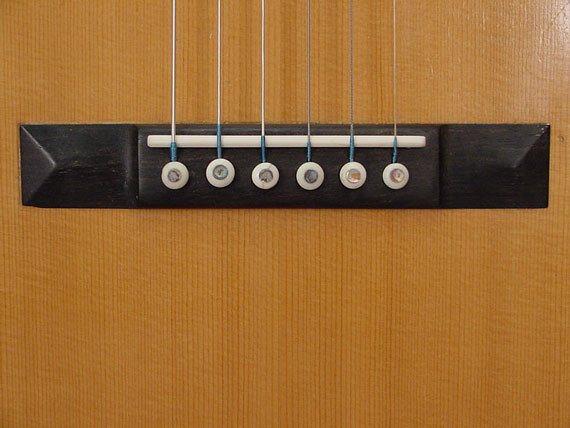 Light as an egg shell, its a fine performer with nylon strings. This particular example arrived at Gryphon in a tattered original leather case. 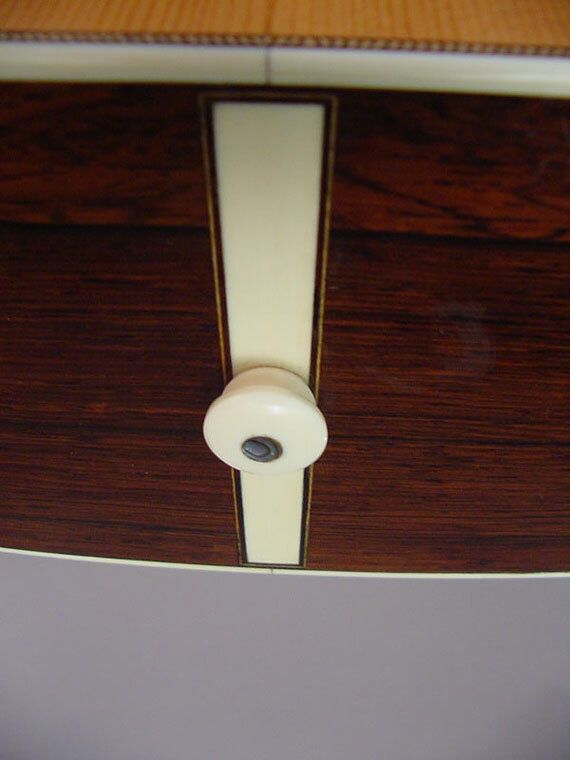 Inside the case, the guitar was in virtually unplayed mint condition, with nary a scratch. 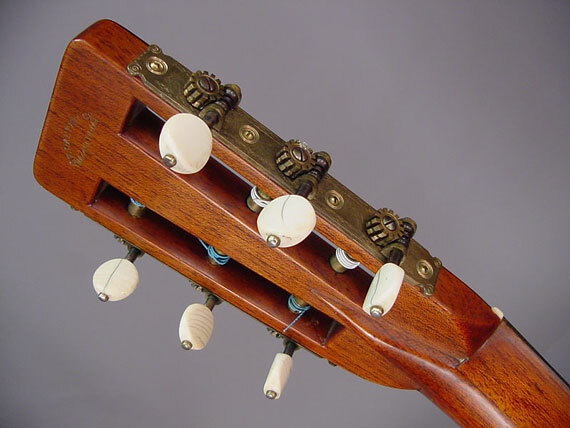 Even the original steel and brass parts of the tuning gears are still bright and shiny! 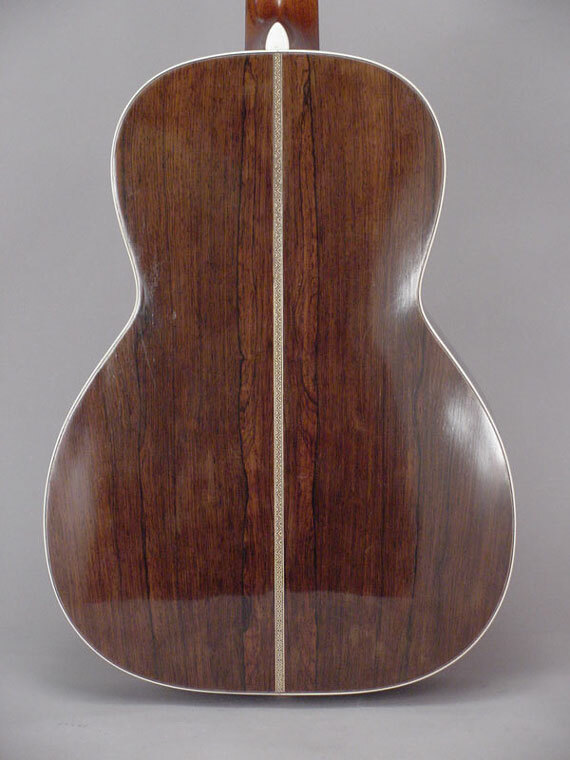 All the white parts are natural elephant ivory, and the back and sides are Brazilian rosewood. 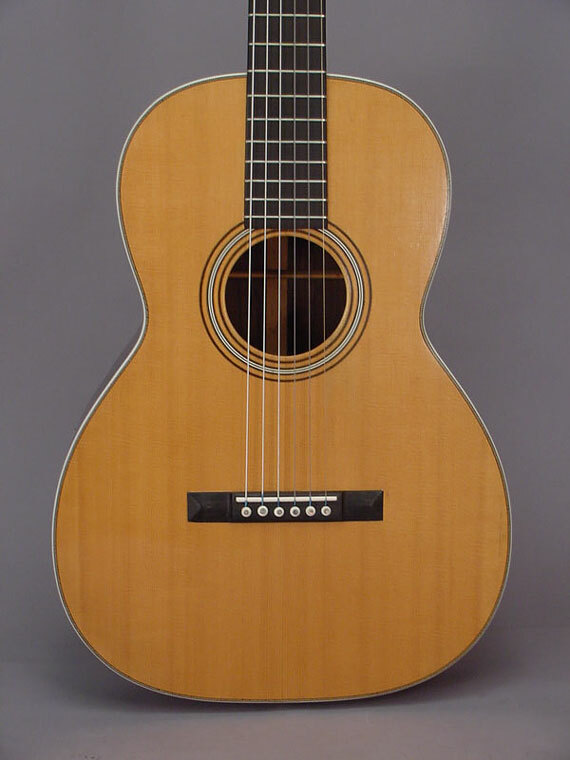 Martin started using serial numbers in 1898, starting with 8000, estimating that they had made about that many guitars since the company had been formed some 65 years earlier. 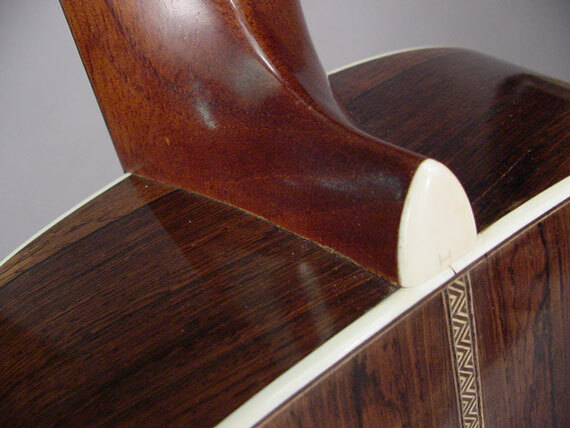 This guitar shows an interesting feature, found only on guitars made in the first couple of years of serialization. 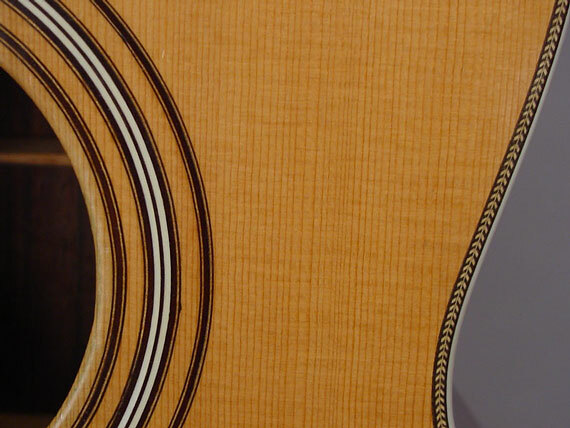 The serial number is written along with the foreman's signature and date, inside the top near the soundhole. 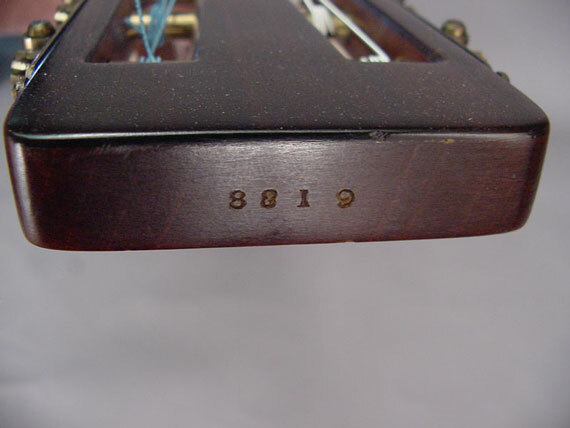 And, the serial number is repeated, stamped on the end of the peghead.